Cinnamon is a likable protagonist: emotional without being too sappy, short-tempered at times, snarky but overall kind. Other characters include her friend Kara, her grandfather she’s looking after, her rival in the competition, her new/old crush, her jerk ex-husband, and other townsfolk. They are each interesting without being too unbelievable. Is this great literature? Of course not, but it has what I’m generally looking for in a cozy mystery: a goodhearted but realistic protagonist who stands up for herself and others, a mystery which is solved by the end in a satisfying manner, a cute setting, and a happy ending. As I said above, this one is heavier on the romance and the interpersonal relationships and lighter on the mystery. I did really like Cinnamon’s relationship with the ultimate villain; she was able to see the other person’s position and sympathize in a way that humanized the whole story. The very end is heavier on the sappiness, but it wasn’t too bad. It’s harmless fluff, but enjoyable enough that if I see more of this author’s work on sale, I’ll probably pick some up. It’s a perfect commuting read, or a comforting brain break from holiday stress. 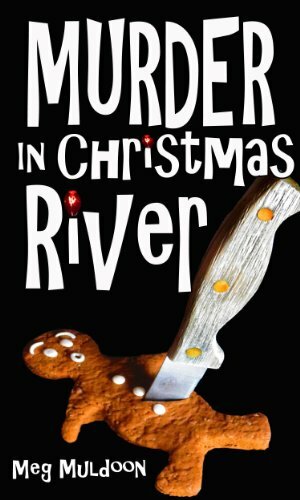 Also, this author is supposedly coming out with an even more explicitly Christmas cozy mystery soon, so I’ll definitely be on the lookout for that.